As we all know, Japan consists of four main islands and a couple thousand small ones. Reasonably, all people want to stay connected with the main islands. And residents of the main islands want to visit each other. Therefore, they have built numerous bridges and tunnels. But, that is not enough. Sometimes they need heavy lift cargo transport, and the bridges are just not for that. So, there are some ferry routes in Japan that help people transport anything they need. There are many fast and comfortable ways of transport that you can use in Japan, such as airplanes and Shinkansen. However, sometimes there is a moment when you just want to forget about everyday life and travel without worrying about time. And when that moment comes, it’s better to travel by sea. After all, most Japan logistics companies use ferries to ship cargo. If you are not familiar with that way of transport, we can help you. So, let’s start at the beginning. Why is it a good idea to use ferry routes in Japan? First of all, there are situations when you have no other options. For example, imagine that you need to transport something from Tokyo to Aogashima. That island is more than 200 miles away from Tokyo. And there are no bridges or tunnels to get there. Hence, it is logical that you will use one of the ferry routes. On the other hand, there are islands where you can get easily. And you get to choose the way of transport. But, what if you need to transport something heavy? Or you don’t want to pay high prices of transportation? In that case, the best choice is to pack and send your shipment on one of the ferry routes in Japan. Or you can entrust sea freight forwarders with taking care of your cargo. They will know what to do. 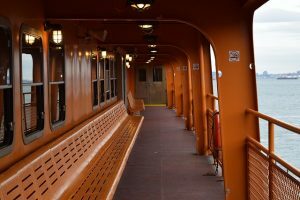 What are the best ferry routes in Japan? This is the route that connects Tsuruga in Fukui with Tomakomai Higashi in Hokkaido in about 19 hours. The name of the ferry is Shin Nihonkai. On this ferry y,ou have a wide choice of passenger cabins, including suites with a private terrace and a bathroom with ocean views. Inside the ship t,here are restaurants, a karaoke room, and a game corner. As well as a cinema that you can use for free. This route connects Nagoya in Aichi and Sendai in Miyagi in about 21 hours and 40 minutes. The ferry used for this trip is Taiheiyo. If you go on this trip, you can get the chance to sail on one of the best ships. According to one magazine about cruises, which gave it Cruise Ship of the Year 2016 Award in the Ferry Division. Passengers can use many different rooms, including cabins with a bathroom and Japanese-style rooms. They even have a lounge in the theater. There is also a large public bath with a view of the sea, which you can enter for free. This is the route by the Ocean Tokyu Ferry that takes you to Tokushima from Tokyo in about 17 hours. It has various types of passenger cabins. Such as common rooms with bunk beds, private cabins, and rooms wa ith a barrier-free design. The ship is also equipped with a large public bathroom, which has a view of the ocean, laundry, and other facilities. There is no dining room, but there is a zone with vending machines that are available 24 hours a day. They sell packed dishes and other items, so it’s quite convenient. This is the route that connects the port Nanko in Osaka with the port Shinmodzi, Fukuoka in about 12 hours. When you are on board, the ship Meimon Taiyo sails along the gentle route of Seto on the inland sea. You can admire the Akashi Kaikyo bridge, which is the longest suspension bridge in the world, the long massive Seto bridge and the Kurushima-Kaikyo bridge, which is the world’s first bridge with three consecutive suspension bridges, as well as a local bridge illuminated by lights. Inside there is a restaurant, a bath with a view, a living room and other amenities. This is the route that connects Izumitsuosa in Osaka with Sindmoji in Fukuoka in about 12 hours. The ship on this route, Hankyu Ferry, is the largest vessel in the Seto Inland Sea. It includes an open-air bath, a viewing room on the bow of the ship. And a spacious observation deck that extends to the stern. There is a wide range of comfortable rooms like in the hotel, where you can stay, from Japanese-style cabins to Japanese-Western rooms. You can also enjoy the karaoke room and dine in the spacious restaurant. 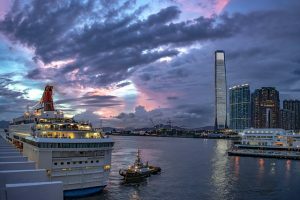 What are the benefits of using ferry routes in Japan? 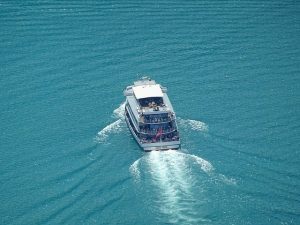 There are many benefits when traveling by ferry, including the opportunity to save on the cost of living. Many ferry boats sail at night and have low fares and discounts. There is also the ability to travel by bike or car and a comfortable bed that you can enjoy as you go to sleep. Ferries in Japan can bring you wherever you need to go. Besides the domestic ferry routes in Japan, there are also the international ones. Japan is well connected with other Asian countries, as well as Europe. If you are not the person for the planes, the ferry is the perfect thing for you. Also, if you need a cheap way to move your stuff overseas, think about ferry again. Any time you need a cheap transport, the ferry is the one for you.